Gorgeous couple Brad Pitt and Angelina Jolie has some celebrating to do today – their sweet little girl Shiloh, turns 5 today. Has it already been 5 years since the world got a glimpse of one of the cutest babies ever? It’s a big day for Shiloh’s parents, as not only is it her birthday but both Angelina and Brad have movies coming out today. Brad’s film, The Tree of Life, has been receiving mixed reviews, while Angie’s Kung Fu Panda 2 will be a sure winner, especially with the kids. I wonder what the whole clan will get up to today? 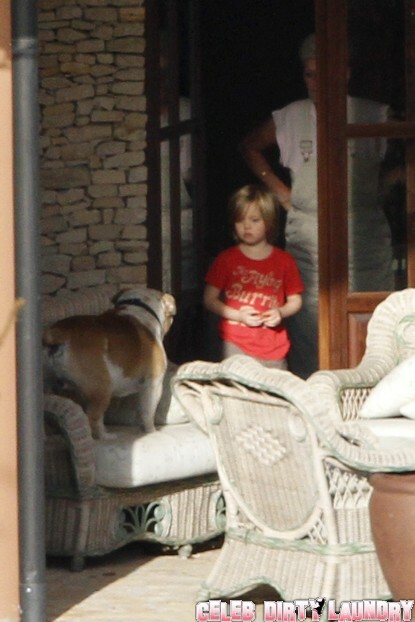 Do you think Shiloh’s been celebrating with her other celeb buds who turn 5 this year as well, Kingston Rossdale and Suri Cruise? The Jolie-Pitt household will no doubt be busy and rambunctious as usual, with 6 kids running around. I just don’t know how they do it! Kristen Stewart Has A New Best Friend Angelina Jolie?